2011 Husqvarna dirt bikes another year in husqvarna motocross motorbikes. 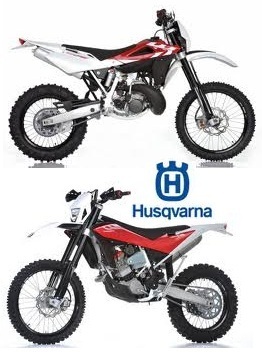 Husqvarna motorcross branded new models. 2011 Husqvarna dirt bikes have yet again seen opportunities where other companies have been cautious. Despite the fact that the recession has caused motorbike fans to delay in replacing their existing bikes. This incredible brand has continued to produce top quality dirt bikes and prove that you don't need to be a huge company to get results. Using their small size and unique partnership with BMW, Husqvarna continues to go from strength to strength. Although this dirt bike company is very small compared to some of their main competition they have proved that they produce top quality products. One of their smartest moves was joining forces with BMW, which not only gave them financial stability, but more machines, and ideas. Although they have collaborated before the amazing partnership has come forward to produce the best 2011 Husqvarna dirt bikes. The all-new TC449 is amazing and replaces the existing TC450, which was great; however, the new bike is incredible. The split exhaust header has been removed, and the remaining pipe work now runs along the right hand side. Ending this system is the latest technology of mufflers, which is fitted with a carbon fiber bracket. The bodywork on the new TC449 is also miles apart from the other designs, and stands alone as a great piece of art. The side panels, and radiator shrouds are one continuous piece, and are entirely smooth making the dirt bike far more aerodynamic. The seats for the 2011 Husqvarna dirt bikes are far more comfortable making the riders want to spend more time on the bike. The actual seat is far bigger, and has denser foam throughout. Although some riders feel that their comfort level is not as important as bike performance, others believe they go hand in hand. This bike really does have it all, and appeals to everyone that sees it. Husqvarna MX enjoyment, on Husqvarna pit bikes. Overall the Husqvarna bikes ride like many of the other dirt bikes on the market, however, there is something special about them. They have an ability to feel like you are having fun, and they are incredibly fast. You can gain the speed that you need, however, still feel safe, and supported by the bike beneath you. 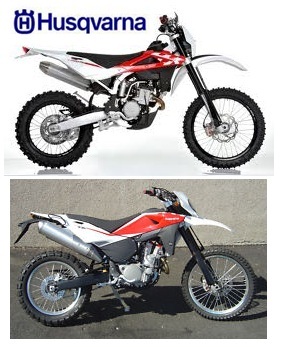 The 2011 Husqvarna dirt bikes have retained their distinctive look, and have continued to have the white steel frames, with red trims. These colors have proved to be lucky, and striking in the past, and continue to bring the company good fortune. The whole appearance of the bike is stylish, trendy, and an overall top quality feel. Although there are several new features with the dirt bike for 2011, the new electric start is proving to be very popular. Although the TC range was born, and developed rapidly they still have so much more to give. The critics thought that the 2011 Husqvarna dirt bikes were going to be lesser quality than the larger companies; however, they proved them wrong. Top riders enjoy using them due to their lightweight, speedy capabilities. If the Husqvarna brand continues making dirt bikes like they have been they are very strong contenders to be at the top of the sport.